If you been taking photos and shooting video with your cell phone and are looking to take it up a notch and purchase your first DSLR camera, like the Nikon D3200 DSLR, which features a 3-inch LCD screen, there are a few things you should think about besides just price and getting a great deal. If you plan on using your camera to shoot photos and videos over an extended period of time, you may want to consider purchasing a back-up rechargeable battery. Rechargeable batteries will run you anywhere between $17.95 and $26.99, but will be worth the cost if it means missing capturing a moment because your camera battery died. Most believe that megapixels matter when it comes to buying a new camera, however, if you ask most digital photographers, and you read about Megapixels in the New York Times Technology section, you will soon learn that snapping the perfect picture is all about the photographer’s skill and the camera’s sensor size. The sensor size of a DSLR camera can vary widely from model to model, but as mentioned above, it is an important size to note — the size of a camera’s sensor, after all, determines how much light is used to turn your snapshot into a digital image — the bigger the sensor, the more detailed the photo. The Nikon D3200, for example, features a .15.4 x23.2 MM, 24.2 megapixel CMOS sensor, which will produce a much cleaner, crisper image than say a point and shoot pocket camera or camera phone. If you plan to use your new DSLR camera to snap a lot of photos and fast, you might want to investigate frame rate, which is the rate at which individuals shots are created each second, as well as shutter speed, which is the time that each shot is exposed for. The Nikon D3200, for example, allows the user to fire off 4 frames per second with the shortest shutter speed of 1/4000 per second and the longest shutter speed of 30 per second. 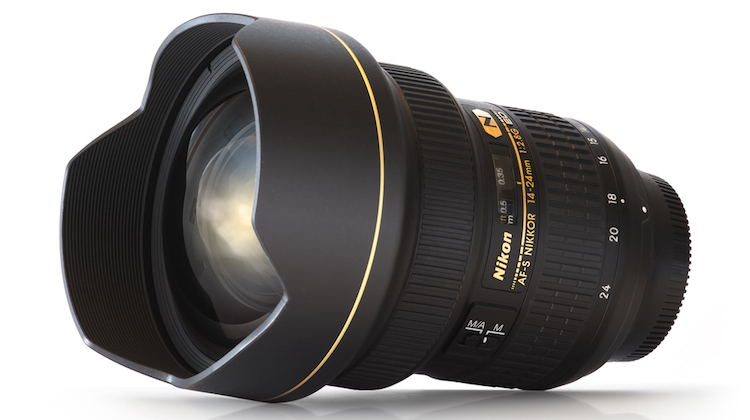 Nikon lens image courtesy of Shutterstock.